Long Shadows, Not Faces | It’s Never Too Early or Late to Genuine Happy Crawl! 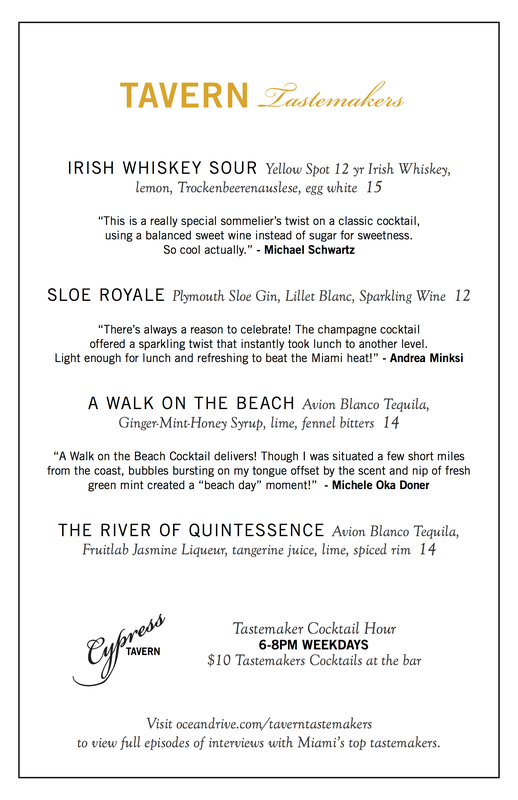 Did you know you can Happy Hour for five straight hours through chef Michael Schwartz’s Miami Design District? While we may not recommend this to everyone, the true professional can navigate with ease, on foot of course! Special Events Director Lindsay Guidos and I were up to the challenge on a particularly relevant Hump Day and documented for your benefit. Chart a course and get moving! Here’s how we made a bee zigzag to Genuine happiness. Feel inspired? Tag #genuinehappycrawl to guild our lilies with yours. Harry’s is our go-to for gluten-free pizza and more. Here, polenta fries and a selection of beer and cider hit the spot. Rosé and olives, thank you Harry’s! True to proper Happy Hour form, Lindsay and I started with the restaurant open the earliest and closest to the office. Wouldn’t you? Michael’s Neighborhood American Pizzeria was the convenient choice as our corporate HQ of The Genuine Hospitality Group is upstairs. An added bonus, Harry’s is our only restaurant with food included in the deal. We each ordered to give a balanced slice of the offering here. All happy hours should begin with rosé, so Lindsay took the credit for that on-point call and ordered a round with some olives marinated with garlic, fennel, citrus, chili flake and extra virgin olive oil. Perfect. Harry’s has recently enjoyed some attention for its depth of gluten-free items on the menu, so I ordered polenta fries, and while enjoying rosé, made sure to showcase a line up of brews in Estrella Damm Daura (gluten removed), Angry Orchard Cider, and New Planet’s blonde ale (out of Boulder, CO) which is more like a cider but who’s judging. Salumi and cheese (and accompaniments) please! Next up was our light and airy café, to experience magic hour’s long shadows and glint of sundown rays, which was totally worth it (nice call Lindsay!) There were wedding festivities of Panther Coffee and Coca Cola which we enlivened with the day’s house sangria (blood orange, rosemary, Albariño, soda, orange slice.) You best be spritzing when you’re in Palm Court, so my partner in crime and I followed suit and enjoyed the Salumi and Cheese (Landaff!) plated on fleet by supervisor Jason with spoon swoosh of Dijon, cornichons, toasted Zak the Baker sourdough drizzled with extra-virgin olive oil and fig compote. Rosé sparkling or still, all good. When in Genuineland… one must have stone crabs, until May 15 (around the corner!) What started with a request for bubbly put us back on the rosé train, as only appropriate; I with Champagne (Canard-Duchêne “Charles VII”, France NV) and Lindsay with the requisite Bandol in a Mourvèdre blend from Gros ‘Noré ( Provence, France 2014.) We were treated to cured salmon with shaved vegetables and crème fraîche, and lots of love from our team. Always enjoy spending time at the restaurants, especially with the care our staff takes in making one feel at home, no matter if you work for the company or are one of our guests. It’s all family here. “I ordered them all!” I exclaimed as Lindsay made her way over from the pass. Nightfall had us at the latest of the Genuine Happy Hours, Cypress Tavern’s Tastemaker Cocktail Hour which celebrates the spirited specials from our Ocean Drive interview series. Out came the Chex Mix, as we tasted through episodes 1-3. Until May 31, join us as the list accumulates. Galena Mosovich hosts at the bar Tuesday with lead bartender David Ferree as we introduce On Your Feet to the list and toast Emilio Estefan Jr. More on that Tuesday morning on the blog when we release his episode at oceandrive.com/taverntastemakers.